Purchase MyVoyageGuard Travel Insurance at an introductory offer of $188. Receive a bonus of 5,000 KrisFlyer miles upon the first spend on the card. Then, receive 7,500 KirsFlyer bonus miles, when you spend S$3,000 within 3 months of card approval. Then, receive an additional 7,500 KrisFlyer miles, when you spend S$3,000 in the 4th to 6th month of Card Membership. Then, receive 1,500 KrisFlyer miles for each approved supplementary card. First Year Fee Waiver and hassle-free conversion of all KrisFlyer miles conveniently credited directly into your KrisFlyer account. The American Express Krisflyer card is the dream card for anyone out on a mission to earn miles to reach their dream destination. 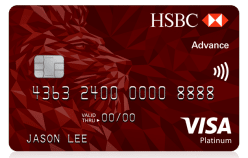 A key advantage of the card is the direct convenience it provides when earning miles – there is no conversion needed from points to miles. By comparison, transfers from other credit cards may take more than a month and incur administrative fees of $20-30. One look at the card benefits and you realise it is a bonus galore! TIP: $3,000 spending within 3 months is easily achievable; you can always choose to apply for the card when you are planning to spend on a big ticket item (furniture or new TV) or if you are ready to purchase air tickets for your family. Direct spending on ticket purchases at singaporeair.com and KrisShop earn you double Krisflyer miles for every $1 spent on eligible purchases made on singaporeair.com, silkair.com, KrisShop and at SilkAir SkyShop, both in-flight and online. Another easy way to earn more points effortlessly – apply for 2 supplementary cards for your spouse or family members with fees waived permanently and earn KrisFlyer miles on all their purchases. Now that’s the more you give the more you get in the action! 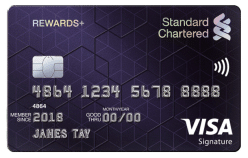 The First Year Annual Membership Fee Waiver will only apply to new American Express Card Members who do not hold any other existing co-branded American Express Singapore Airlines Credit Cards. 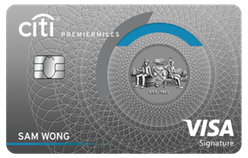 If you are holding an existing co-branded American Express Singapore Airlines Card(s), or after your first year of Card membership, the prevailing annual membership fee for the Card will apply. 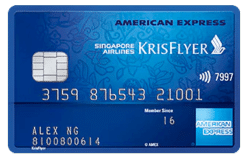 This Offer is only applicable to The American Express® Singapore Airlines KrisFlyer Credit Card Members who apply and receive approval between 1st June 2018 and 30th September 2018 (both dates inclusive). 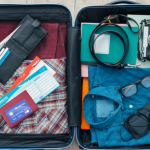 Spend S$3,000 on eligible purchases of goods or services within the first 3 months upon Card approval (“Spend Threshold”) and receive 7,500 bonus KrisFlyer miles. You are only entitled to enjoy this offer once. The eligible spend excludes: (a) Charges processed and billed prior to the Enrolment Date or charges prepaid on any Card Account prior to the first billing statement for that Card Account following the Enrolment Date; (b) Cash Advance and other cash services; (c) Express Cash; (d) American Express Travellers Cheque purchases; (e) Charges for dishonoured cheques; (f) Finance charges – including Line of Credit charges and Credit Card interest charges; (g) Late Payment and collection charges; (h) Tax refunds from overseas purchases; (i) Balance Transfer; (j) Annual Card fees; (k) Amount billed for purchase of KrisFlyer miles to top-up your miles balance; (l) Purchase and top-up charges for EZ-Link cards using your Card. The Bonus KrisFlyer miles will be awarded to Card Members approximately 6 weeks from the date they meet the Spend Threshold. The Bonus KrisFlyer miles will be credited directly into the Singapore Airlines KrisFlyer account linked to your American Express Singapore Airlines KrisFlyer Credit Card. Spend on eligible purchases incurred by Supplementary Card Member(s) shall accrue to the Basic Card Member. To qualify for this offer, your Card Account must be in good standing and not be cancelled for any reason.